From hot summer sun to cold winter winds, the elements a re not your garage door’s friends, that’s why GARAGA only creates the very best doors from the finest materials. Our doors stay beautiful and functional for years. We go above and beyond with our doors to provide you with the best weather stripping, thermal breaks, and other details to prevent even the harshest winter winds from getting in through your garage door. 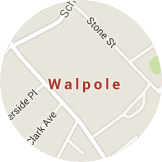 Proper installation is essential for any garage door, which is why GARAGA has a network of certified installers in Walpole, MA. With over 150 years of combined experience, GARAGA’s installers will get the job done right the first time. Read more about Thompson Overhead Doors Inc.
Bellingham, Boston, Braintree, Brockton, Brookline, Canton, Dedham, Dorchester, Dover, Foxborough, Franklin, Holbrook, Hyde Park, Medfield, Medway, Millis, Milton, Needham, Newton, Norfolk, Norwood, Plainville, Quincy, Randolph, Roxbury, Sharon, Stoughton, Walpole, Wellesley, West Roxbury, Westwood, Weymouth, Wrentham. Installing a new garage door is one of the top 3 best home improvements for houses in New England. According to Remodeling magazine, a cost-value study* has shown that the average cost of garage door replacements in New England is less than $1,700. Not only that, but homeowners recoup their cost upon resale 84%. Upload a photograph of your house to see how well your design works with its architecture, colors, and style. 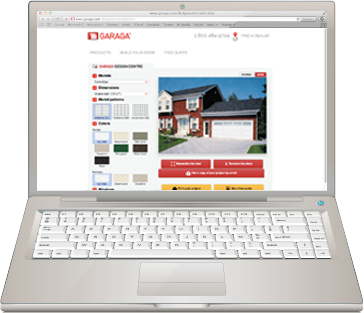 No one likes pushy salesmen trying to get them to buy the most expensive products on the market, which is why GARAGA dealers are so refreshing to work with. They’re committed to helping you find the right door for your house, and they’ll never pressure you into buying a door that doesn’t fit your budget or taste. They’ll always help you with your garage door decision, and there’s never any rush or pressure. You’ll never have to worry about an intruder getting access to your home through your garage door when you have LiftMaster garage door openers. 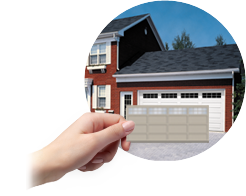 With their high-tech operating system and their reputation for reliability, you can rest assured that you’re garage door is safely and securely closed. We believe in providing our customers with only the very best products, which is why we carry LiftMaster garage door openers. 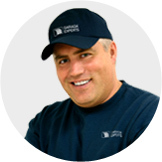 When you choose GARAGA, the technicians, installers, and repairmen who come to your home will always be friendly, knowledgeable, and completely professional. That’s because we only employ the very best installers and technicians to ensure that you always get the best treatment and that your garage doors will run smoothly and safely for years to come. If it’s been a while since your garage door was inspected, call one of our dealers today to have expert technicians come to your home and give your door a full checkup. Then you can rest assured that your garage is safe and secure.